One of the more controversial aspects of this change is the now common practice of hot-desking, with employees sharing communal computers and desks instead of being individually allocated a workstation. The practice was originally used by large corporations that had staff working shifts over the course of 24 hours. It is also often adopted in offices where staff are not always in work at the same time, when providing an individual workstation for an employee would take up valuable resources. While the practice is designed to encourage collaboration and break down workplace silos, many have found the reality to be rather counterproductive. “For some organisations that have a lot of staff on the road, such as sales reps or consultants, they’re used to not having their own desk, so they’re better able to adapt. But hot-desking is not for everyone. Some people find it difficult to adjust and acclimatise to different colleagues and different locations on a regular basis,” explains psychologist and workplace interior designer George Mylonas. Origin. The term hot-desking is thought to be derived from the naval practice, hot racking, where sailors on different shifts share the same bunks. Hygiene. Risk of infection is thought to be higher in offices where hot-desking is present, with only one third of workers washing their hands after visitng the bathroom. Savings. It is thought that hot-desking can reduce a company’s costs by up to 30%, with UK businesses able to save a total of £34 billion a year. Clean desk policy. 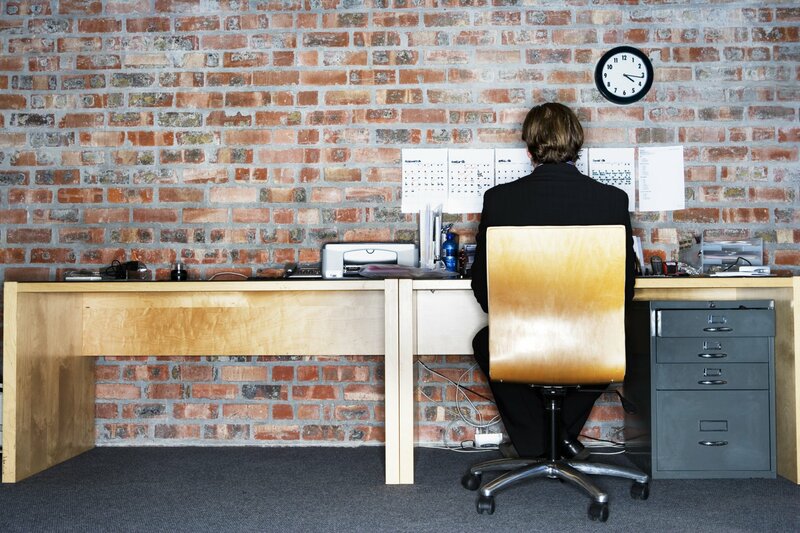 Offices which use hot-desking more often than not introduce a clean desk policy, meaning no personal belongings are allowed on desks at the end of the day, the impact of this on work is the subject of much debate. A close cousin of hot-desking is the increasingly popular practice of co-working, as large portions of the population opt to forgo the lonely life of a freelancer and sit with likeminded workers. Co-working provides the much relished and desired opportunity to work with other people doing their own thing in an expressive environment and feed off lively energy from those who believe in a similar type of lifestyle. Many young, creative people use co-working spaces because it keeps them connected. An example of this would be opening a centre dedicated to start-ups, tech based or not, as it would be easy to mentor them for general events on developing their product from conception to launch, rather than trying to teach them individually. Co-working strengthens the bond between those who work together, even if it is on their own work as help is readily accessible – something that can be very tough to find when you work by yourself. It provides both inspiration and motivation, nurturing creative drive to make usage of a full day by keeping spirits uplifted and engaged on a consistent basis. It is often tough to work by yourself in places such as coffee shops as a freelancer, what is really required is a secluded setting, which is what co-working became the perfect solution for. Origin. The term co-working was coined by Bernie DeKoven in 1999. Demographic. The average age of a co-worker is 34 years old, two thirds are male and four out of five are university educated. Entrepreneurs. 20% of people who use co-working spaces would class themselves as an entrepreneur who employs others. Freelancers. 54% of co-workers are freelance, with companies such as Deskcamping specifically designed to find them places to work. Hubs. San Francisco, Portland, London and Berlin all have thriving co-working scenes, which have been boosted by input from private companies such as Google and education establishments like Germany’s Greifswald University. Whatever these perceived difficulties, working with more freedom gives people who desire autonomy and a nomadic lifestyle a real way to connect with clients and business partners on a global scale. For an entrepreneur, nothing means more than freedom, and what better way to work than being able to work on your own schedule.